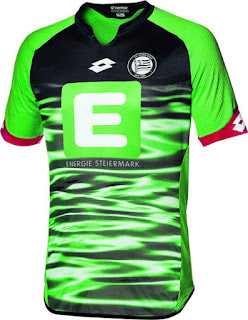 About a week ago I posted the 5 football kits I would love to get my hands on this year and today I would like to talk about the ones that I find so ugly that I feel nauseated just looking at them. Here are my top 5 ugliest kits for the 2015-16 season. 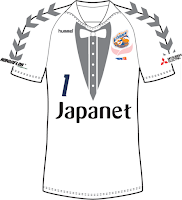 It seems that Guingamp is somewhat of a popular club in France seeing that every company in the country wants to put their logo on their shirt. 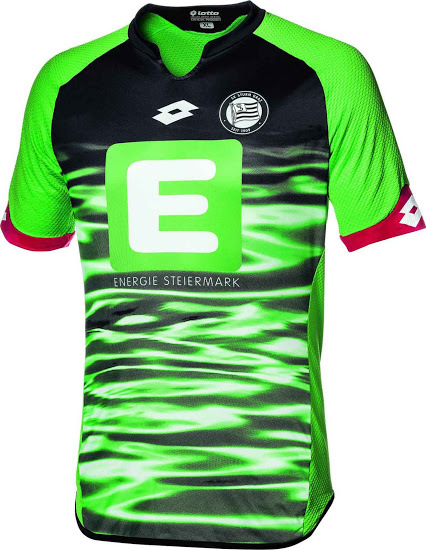 In all fairness many French club shirts are bombarded with sponsors and EAG is no different. 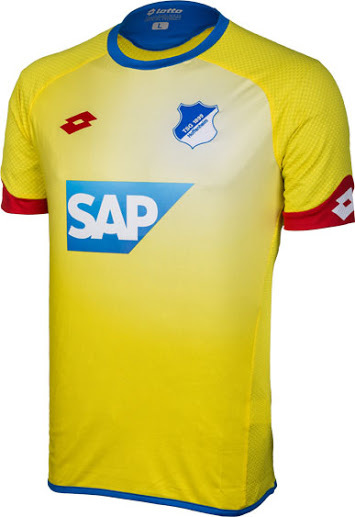 What bothers me about this particular one is its imbalance with the left sleeve sporting a sponsor logo, while there's nothing on the right one; just so damn busy. 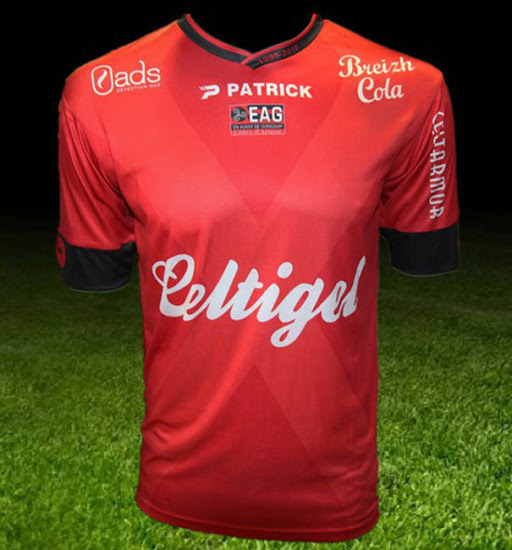 And it seems that rather than being produced by a company, Guingamp's kits for this season are made by some fellow called Patrick. 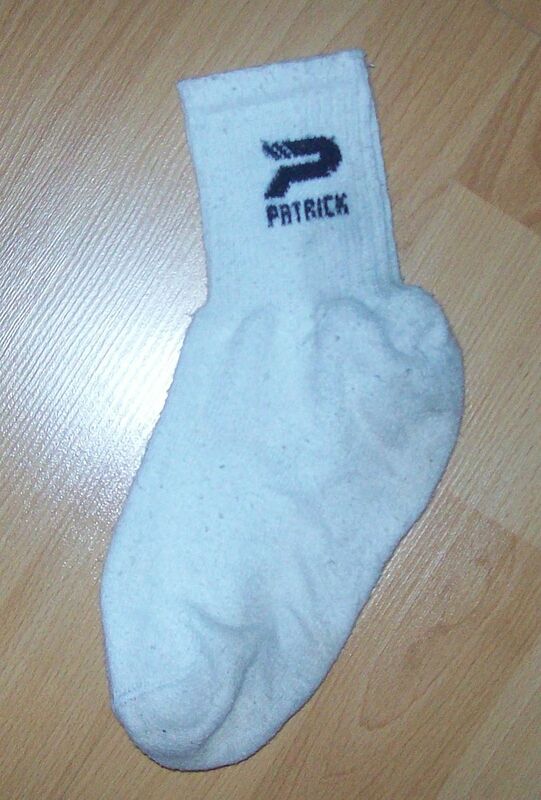 I mean seriously, what company is "Patrick"? 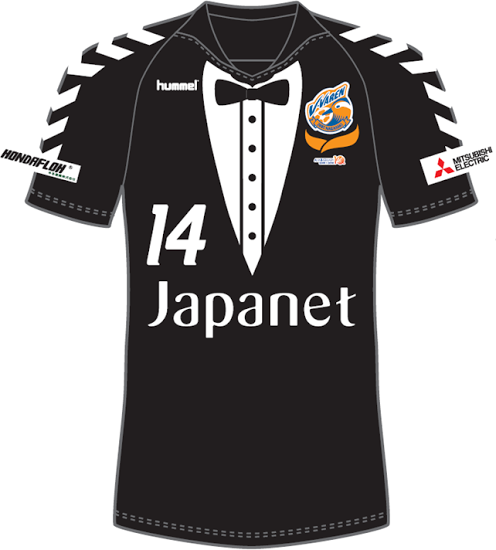 I bet even the owners of such industry leaders as Kelme, Joma and Marathon laughed when they saw this number. In reality, Patrick is a sports apparel company based in Belgium and this won't be the first year Guingamp uses their gear. 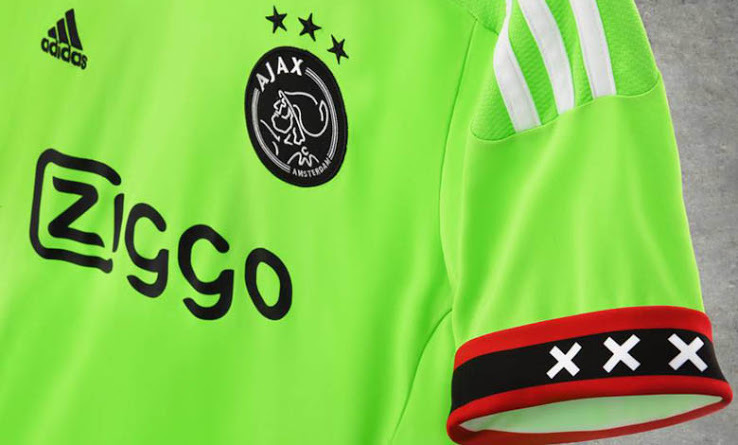 Below you can see Patrick's design for EA Guingamp and their other best selling product, the horribly misshaped white sock. 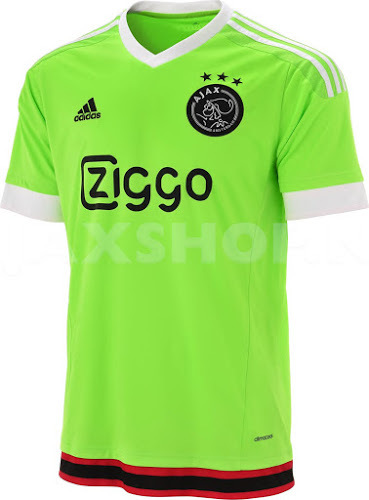 Adidas calls this color "Solar Green", I shall call this number Marvin the Martian because that is instantly what I think of when I see this color combination together with the headgear worn by Greek Ajax on the club's crest. 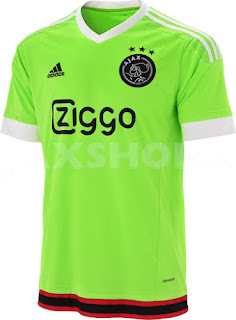 I tend to love Ajax kits but this one is just off; the red with the "Solar Green" is not a good match, but perhaps this kind of Looney Tunes look is better than a grey jersey with carrot patterns all over it. 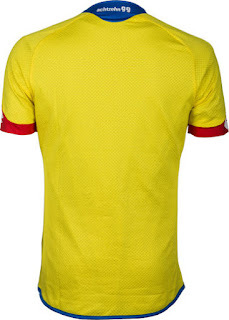 "Yay, a Lotto jersey"...said no one ever and sure as hell won't be any different this time around. 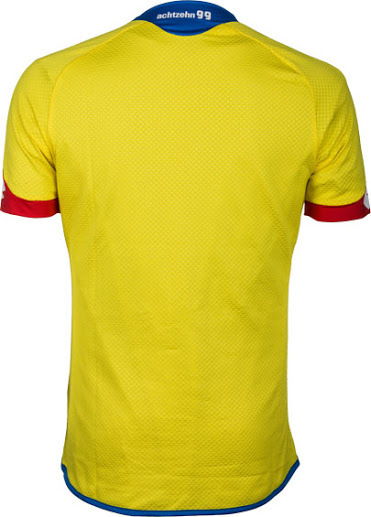 Perhaps this could have looked like an ugly Romanian jersey at some point but adding that white gradient just makes this kit look like an inside-out egg. 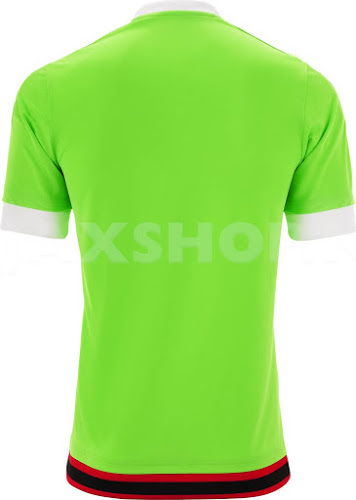 Somehow I knew in advance that there will be more than one Lotto shirt on this list and sure enough, here she is. The green water effect may in fact be a great tactic, as the opposition is sure to miss many penalties this year staring at this monstrosity, but to me this reminds me of Old Greg. 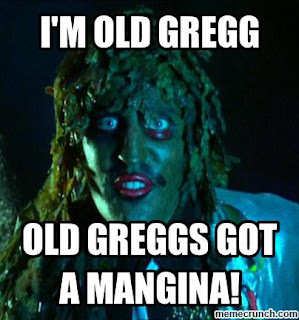 If you don't catch the reference type in "Old Greg" in the YouTube search-bar for 10 mesmerizing minutes of your life you will regrettably never get back. Celebrating the club's 10 years of existence, sports apparel Hummel decided to design this number for JLeague 2 side V-Varen Nagasaki. 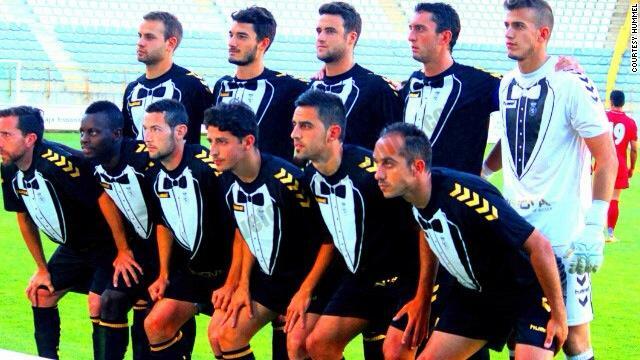 This is in fact not a joke; a tuxedo print that as unreal as it sounds, has been implemented by the manufacturer previously when they made a similar design for Spanish Segunda B side Cultural Leonesa. So basically, Hummel is that kid that never learns from his mistakes. A tuxedo print t-shirt was funny...like twice...in the 80's, but I couldn't take my club seriously if I was in the stands aggressively chanting and lighting flairs while they pranced around the pitch wearing this crap.